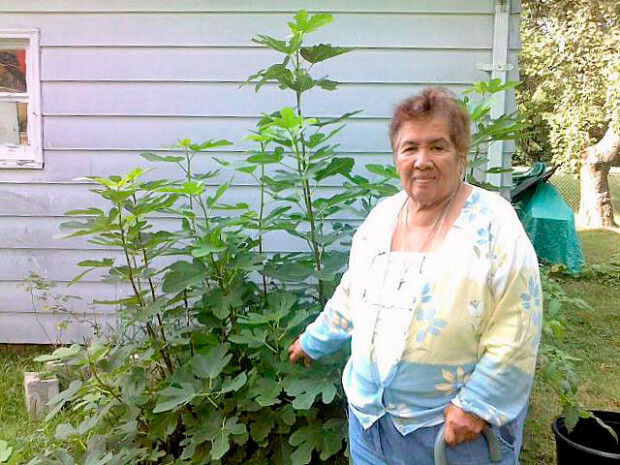 Valerie Nava proudly shows off the fig tree she propagated from a cutting and is growing in northern Oakland County, Michigan. She covers it up in the winter and it comes back year after year. According to daughter Catherine, her mom’s motto is, “I never give up.” As a result, Valerie and her green thumb can tell you about many plants and how to grow them. Do you have a snapshot of a plant you have overwintered? Post it to our Facebook page. 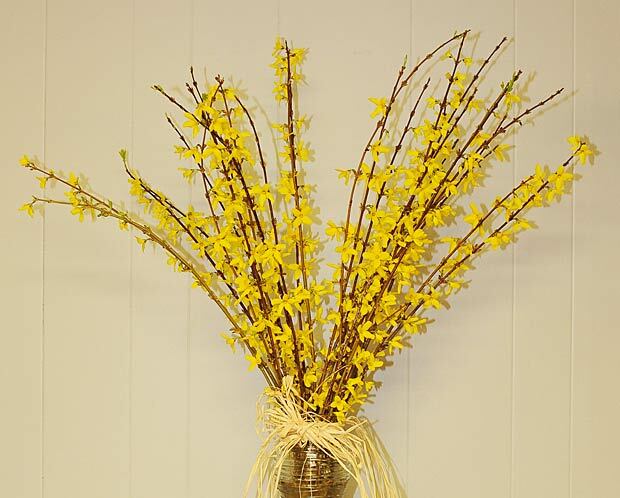 These forced forsythia blooms brighten up the Michigan Gardener office as we prepare our first issue of 2013—coming in early April! The season’s first dusting of snow covers the CN railroad tracks along Kensington Road in Bloomfield Township. A gingko shows off its golden yellow fall foliage. A recent thunderstorm that rolled through our area left in its wake a yellow light that washed over the landscape. The resulting photos produced some odd looking results, none of which have been manipulated in any way. Heuchera bathed in yellow light completely changes the appearance of the plant. This variety, ‘Hollywood,’ is actually reddish in color with silver accents. The tickseed here in the foreground took on a whole new level of saturation and the normally purple blooms of the lavender took on a yellowish pink cast. This hosta, heuchera and liriope combination appeared with a richness of color rarely seen in July. The snow cover that melted over the last two weeks was quickly replaced by the blanket of snow we awoke to this morning. Tulips popping up everywhere are the true sign of spring. Garden Snapshots: What to do with all these tomatoes? The tomatoes are still coming despite their challenges this year. Have a suggestion on what to do with surplus tomatoes? Leave a comment with your favorite idea.